New York’s Workers’ Compensation Law provides a minimum level of protection to workers injured on the job. It applies to all workers in all types of jobs, either full or part-time. The Workers’ Compensation Lawyers at Brown Chiari can help. Workers’ compensation benefits are a result of a nearly 100 year old law in New York that provides automatic benefits to an injured worker. To balance the fact that workers will receive benefits regardless of fault, the law prevents the injured worker from suing his or her employer to recover for those injuries. Therefore, no matter how severe the injury, the injured worker may only file a workers’ compensation claim against that employer. Workers’ compensation pays all of the injured worker’s medical bills and, usually, two-thirds of the average weekly wage. Lost wage payments continue until a worker returns to work, and medical coverage continues for the life of the claim. Therefore, no matter how negligent an employer or a co-employee was, an injured worker may not sue the employer or co-employee. Payments for the medical services rendered are made in accordance with a pre-determined rate as set forth in the Workers’ Compensation Statute. The injured worker/client should advise all of his or her treating physicians to submit payment directly to the workers’ compensation insurance carrier. Having a claim number and address handy when you go to the doctor will be helpful. The healthcare provider is prohibited by law from charging more than the scheduled rate. It is a violation of law to demand payment for anything in excess of the schedule. 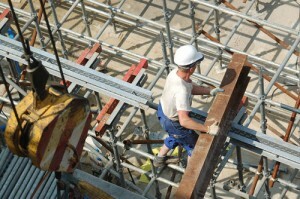 There are limited circumstances where a lawsuit can be brought as a result of the workplace injury. As long as the claim is not against the employer, injured workers are free to file claim against any other responsible party. These are often referred to as “third-party lawsuits” where the injured worker attempts to prove that the injury was a result of negligent or wrongful conduct by a person or entity other than the employer. For example, a claim may be brought against the owner of the property on which the accident occurred, assuming the owner is different than the employer. Also, a claim may be brought against a machine manufacturer in instances where the employee is hurt on the job as a result of a malfunction. Finally, a third-party lawsuit may be brought against the general contractor on a construction site where an employee is injured. Again, in all of these three examples, the injured employee may not sue his employer, but may very well have a third-party lawsuit against another company or entity. The Workers’ Compensation lawyers at Brown Chiari can help you understand these laws. Contact us today. One additional thing to remember about workers’ compensation is that every employer in the State of New York is required to carry workers’ compensation insurance. It is a violation of law to fail to do so. Nevertheless, many employers try to shirk this responsibility and not purchase this critical coverage. In those instances, and where an employee gets hurt on the job, that employee often can make a claim against a fund established by law for workers whose employers have been derelict in obtaining and maintaining insurance coverage. Therefore, no matter what an employer tells an injured worker, there usually will be a source of workers’ compensation coverage. Contact us for a free case evaluation.